Hi dears! today I am showing you a wedding that occurred during 2011... an amazing wedding. 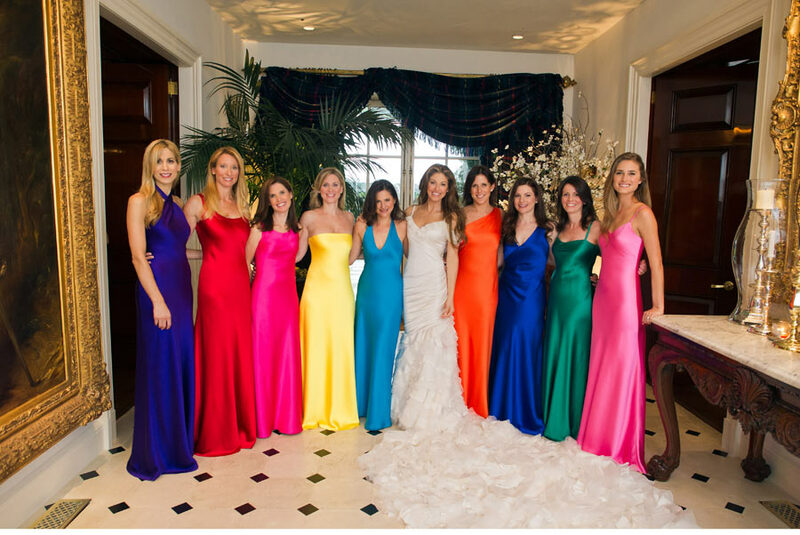 The bride is Dylan Lauren, Ralph's Lauren daughter and owner of Dylan's Candy Bar candy chain. La decoración floral seguía la misma idea de utilizar mucho colorido, se dispusieron grandes soportes de flores acompañados de jarroncitos pequeños con flores y velas... Es espectacular!! ¿no os parece? 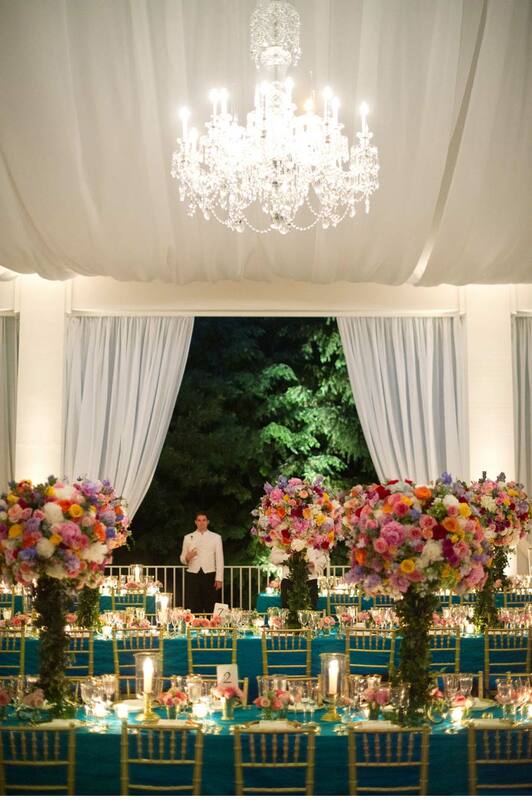 The floral decoration followed the same idea of using colored flowers, there were big topiaries combined with candles and small flower jars. It is amazing, do not you think so? 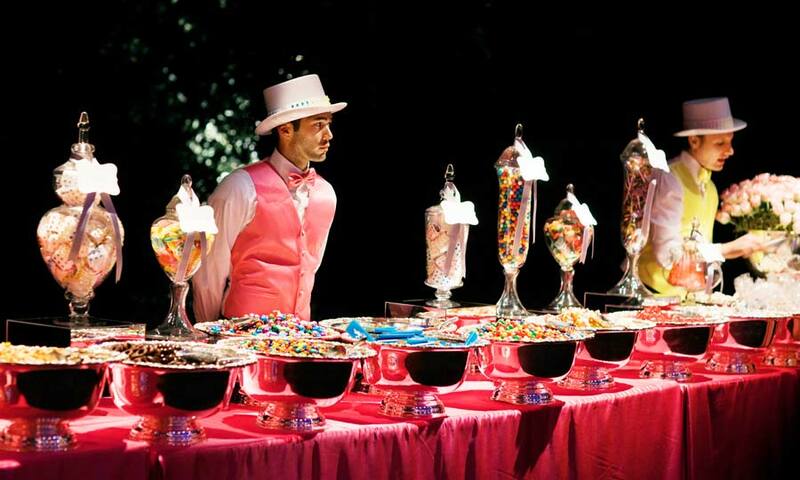 During the dance they disposed a huge colorful candy bar. 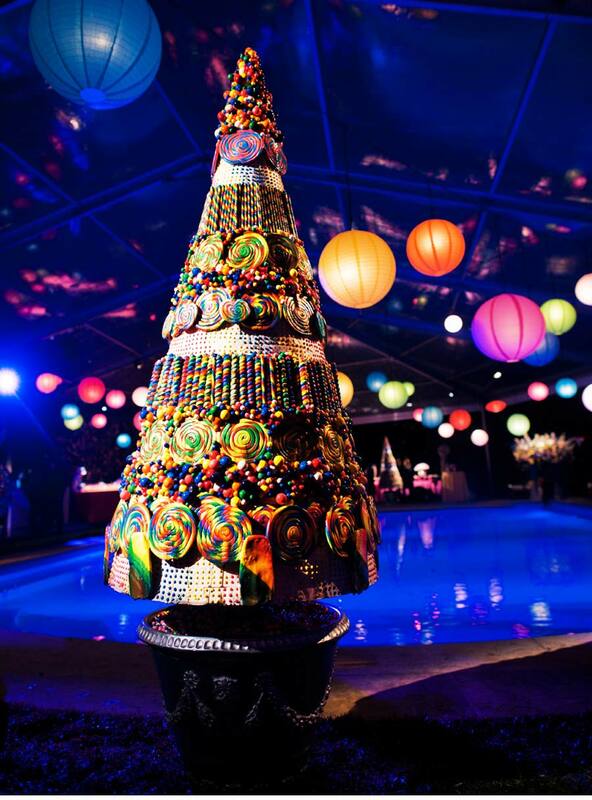 There were lots of candy's of different colors and shapes. As well as the decoration matches with the candy bar there were several giant lollipop topiaries around the dance floor. 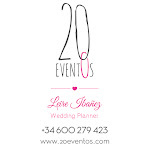 Sin duda una boda de gente muy privilegiada aunque nos sirve para inspirarnos y adaptarlo a presupuestos más ajustados. ¡Feliz lunes! A wedding style and theme that can be used for inspiration and adapted to an affordable budget.